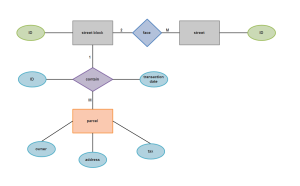 A simple Chen ERD sample is presented here to help users become familiar with this kind of diagram. It can also be used as a template that you can easily edit and customize. Drawing a Chen ERD with a ready to use template is much easier and can save you many hours. Download and modify this Chen ERD template for your own use. A well-designed chen ERD diagram template is available in vector format, which is understandable at a glance. 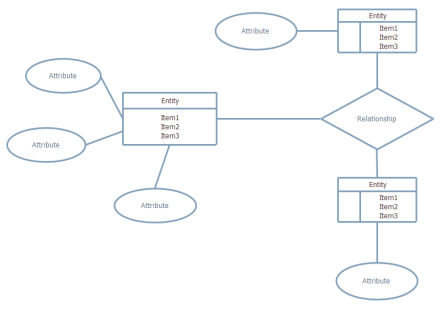 Use it to have a quick Chen ERD diagram design. Here we provide one more Chen ERD example, which is in vector format and available for download at any time your need. 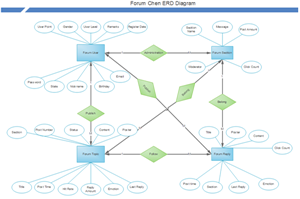 Discover why Edraw is an excellent program to create chen erd. Try Edraw FREE.